Warner Bros. Pictures‘ Batman v Superman: Dawn of Justice opened to $170.1 million domestically over Easter weekend in 4,242 theaters, an average of $40,100 per theater. That means the film has broken the record for best pre-summer opening, surpassing The Hunger Games‘ $152.5 million from March 2012. It is also the largest domestic opening for Warner Bros. Pictures ever (previous record was Harry Potter and the Deathly Hallows: Part 2‘s $169.2 million from 2011), the widest release pre-May, the largest Easter opening (previous record was Furious 7‘s $147.2 million from 2015), the largest opening for a DC film (previous record was The Dark Knight Rises‘ $160.9 million from 2012), and the biggest March opening ever (previous record was The Hunger Games‘ $152.5 million from March 2012). Batman v Superman: Dawn of Justice marks the sixth-highest domestic opening ever, passing up Harry Potter and the Deathly Hallows: Part 2‘s $169.2 million and trailing Iron Man 3 in fifth place with $174.1 million. RELATED: Batman v Superman Box Office Surges to $424.1 Million Worldwide! The film, which cost a reported $250 million to make before marketing, brought in $27.7 million from Thursday previews, a new Easter record, passing up Furious 7‘s $15.8 million from last year. $18 million of the $170.1 million total came from 272 IMAX screens, which marks the largest Easter opening for IMAX as well. 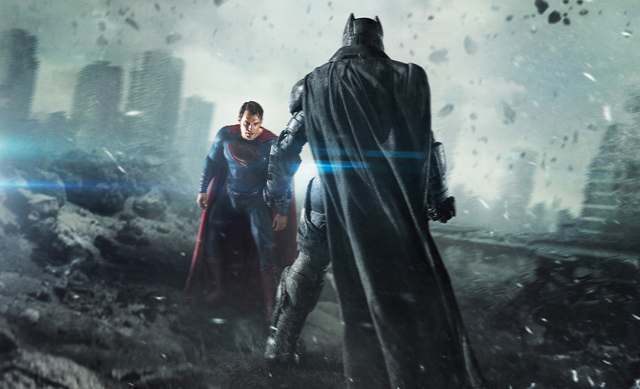 Globally, Batman v Superman earned $36 million from a record 945 IMAX screens. It’s the third-highest opening for IMAX ever, trailing just Star Wars: The Force Awakens‘ $47.5 million and Jurassic World‘s $44.1 million. The film received a B CinemaScore from audiences. Also, 20th Century Fox’s comic book adaptation Deadpool earned $5 million in seventh place its seventh weekend in theaters. Starring Ryan Reynolds, Morena Baccarin, T.J. Miller, Gina Carano, Ed Skrein and Brianna Hildebrand, the movie has now brought in $349.5 million in North America on a budget of just $58 million. Internationally, Deadpool has now earned $396.4 million for a worldwide total of $745.9 million.